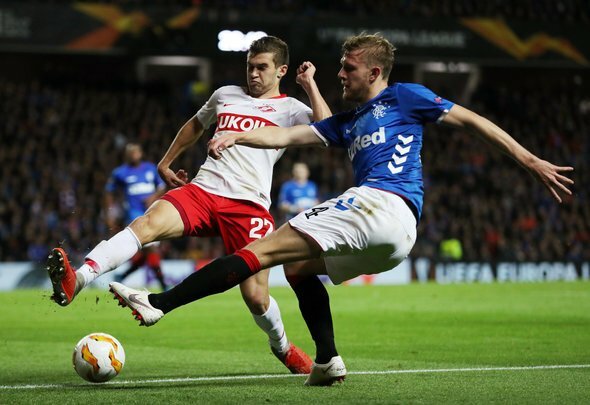 It is safe to say that Rangers defender Joe Worrall has not had the most successful of spells since he joined the Gers, and that has only been reinforced by his latest display in the 0-0 with Kilmarnock on Saturday. He is no doubt considered a scapegoat at Ibrox, but there is no shying away from the fact that he was rather woeful at the weekend, and this should be the final straw. It is clear to see that he is not a favourite amongst the fans and this latest performance will certainly define how elated they will be when he returns to Nottingham Forest at the end of the season. They will not be happy if his stay is extended with the Gers, but the likelihood of that happening is rather slim after the most recent bad day at the office. It is hard to imagine a time where the 22-year-old will be loved by the supporters and it is evident that he is their biggest liability in matches. This means that they will surely jump for joy when he goes back to the City Ground as there is no reason why Steven Gerrard will want to keep him at the club. Worrall previously admitted that he would be happy to leave the club, something else which would no doubt cause the fans to despise him even further. “I wouldn’t have come here if I wasn’t going to play. I believe in my ability. I believe I should be playing at Forest but that’s not going to be happening this season. Being on loan, it’s hard to say whether I want to stay. If they want to buy me for £30m in the summer, fantastic! If not, I’ll be happy to go back to Forest,” he said, as quoted by the Scottish Sun. Whatever potential he may have had has obviously not been unleashed with the Gers, so when he does eventually leave, he is unlikely to be missed very much. His form is no doubt causing much frustration amongst the Ibrox faithful and there is only so long that they will be able to put up with a player who is unable to do his job properly. He constantly has to have players covering for him – Andy Halliday spared his blushes at least once on Saturday – and this is simply not good enough.